iPhone not syncing with iTunes? iPhone cannot be synced with iTunes after updating to iOS 12/11/10? Read this post to fix it on iPhone 8/X/7/6s/6/5/5s/4s. “After updating to the new iOS 12, iTunes cannot sync music or photos to my iPhone 8, even if I downloaded and installed the latest iTunes 12.7 on my pc and recently updated to the new iOS 12”. Is there any way to fix it? Although Apple has always been releasing iTunes to fix bugs on syncing iPhone music and playlists, there are still some iTunes issues you may meet when syncing songs, playlists, photos or some other types of data from computer to iPhone or iPad after iOS update, especially when you are one of new iPhone 8/X/7/6s/6 users. In this post, for fixing “iPhone not syncing with iTunes” problem, we offer some basic tips, which we think would be helpful for the solving of some iTunes sync problems in iOS 12/11 and iOS 10. There are some simple tips that you can use to fix “iPhone won’t sync with iTunes after an iOS update”. Now let’s check the basic tips below. Tip 1. Change another USB cable. Tip 2. Check WIFI connection. Tip 3. Update iTunes to the latest version. Tip 4. Turn off iCloud Music Library and iTunes Match on iPhone: Tap Setting > Music to turn off it. Tip 5. Turn off “Show Apple Music” on iPhone: Tap Setting > Music to turn off Apple Music. Tip 6. Turn off “Show Apple Music” on iTunes (Computer): iTunes > Edit > Preferences > General > Turn off Show Apple Music > Click “OK”. Tip 7. Restart your iPhone and computer. Tip 8. 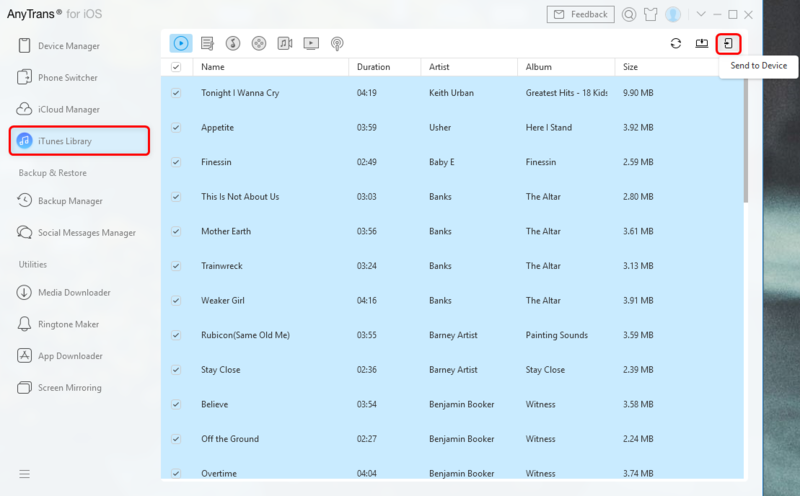 Use iTunes alternative. If you always prefer an easy and quick way to sync data to your iPhone, then you cannot miss AnyTrans for iOS. Lets you transfer data between iTunes and iPhone without effort. 1> Sync selected files from iTunes to iPhone and it will not erase any existing data on your device. 2> Transfer iPhone data back to iTunes, which iTunes cannot make it. Step 1. Free download AnyTrans for iOS, install and launch it > Connect your iPhone to the computer via USB cable. Step 2. Click iTunes Library > Choose the data you want to sync like music > Select the items you need > Click Send to Device to start. Step 3. Once the transferring process is completed, you will see Transfer Completed Page. Then you can check the songs on your iPhone. 1. 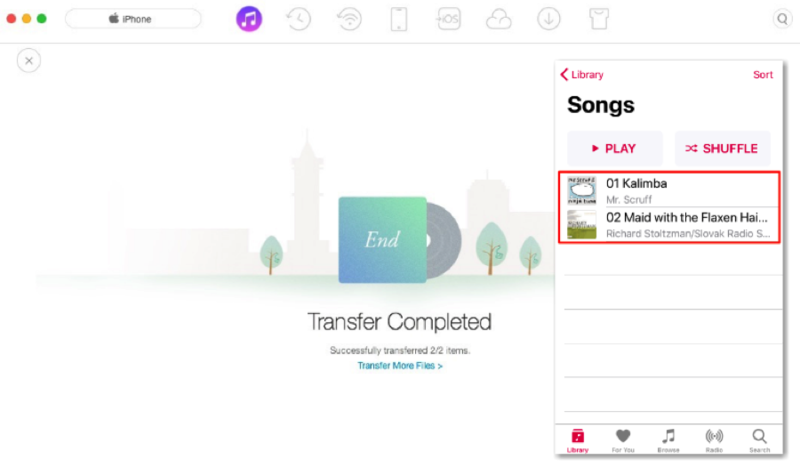 Besides syncing data between iTunes and iPhone, as one all-sided iOS data transfer tool, AnyTrans for iOS can also help you directly transfer data like music, ringtones, photos etc. from computer to iPhone and vice versa. If you just get one new iPhone, it also lets you transfer data from old iPhone/Android phone to your new iPhone. 2. Just feel free to download AnyTrans for iOS to have a try, it’s one 100% safe software without the virus. By May 2017, there have been over 16 million people downloading and using AnyTrans for iOS, now it has got ready to help you. For more details about AnyTrans for iOS, such as its safety, its reputation, please click here. 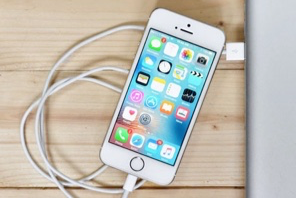 Want to sync data between iTunes and iPhone? Just download this all-sided iOS data transfer tool to help you. It is 100% safe and can help you directly transfer music, ringtones, photos from computer to iPhone and vice versa. Tip 9. (For sync error 54) Read the guide to fix iTunes sync error (-54). Tip 10. You can also read our previous guide – iTunes 12 sync issues and solutions, which shows you the most common sync issues you may meet when using iTunes 12, including cannot sync music, waiting for items to copy, iPhone can’t be recognized etc. If you have any workaround to fix the iPhone won’t sync with iTunes after iOS update problem, please leave a comment below to share with others. At the same time, don’t forget to download AnyTrans for iOS and try it free.